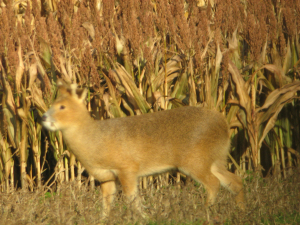 Observation - chinese water deer - UK and Ireland. Description: Seen from close range as it foraged alongside a block of maize. Seen from close range as it foraged alongside a block of maize.